Angela and Brandon are huge Blue Jays fans.They even named their dog Gruber. Awesome. 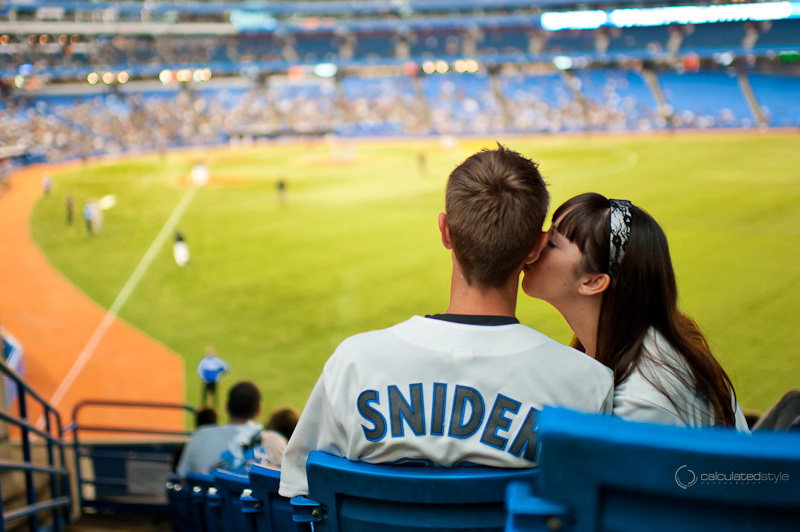 When the time came to capture their engagement session, a Jays game seemed like a perfect fit. A quick response from them with an emphatic YES, let me know I was on the right track. Here is where I insert a bunch of cheesy parallels between the Major Leagues and marriage. * Both require such passion, dedication and teamwork. * One must always respect, support, and defend their fellow teammate. * There's always the need to improve, to continue, and to grow.